It’s been awhile since we heard anything about Volvo’s audacious experiment to deliver 100 self-driving cars to regular people in Sweden for testing. The program, called Drive Me, was supposed to kick off in 2017, but now the company says it’s pushing the date to 2021. Moreover, Volvo is scaling back the number of cars involved, according to Automotive News. Under the original plans first announced in 2015, Volvo would deliver 100 of its XC90 SUVs to real families in Sweden, followed by a similar number of vehicles to families in China and the UK. These participants would test Volvo’s autonomous car technology. The cars would be able to run in fully “unsupervised” autonomous mode on certain, pre-approved and pre-mapped freeways in their respective communities. Volvo said that drivers would be able to fully disengage from the driving process, instead spending time reading a book or watching a video. The car would drive itself and handle any situation that might arise on the roadway. But now these families are going to have to wait longer before getting behind the wheel. According to Automotive News, Volvo is saying 100 people, not 100 cars, will be involved in the Drive Me program within the next four years. And instead of getting fully driverless, Level 4-ready cars, the people taking part in Drive Me will test the cars with the same Level 2 semi-autonomous assistance systems that are commercially available in Europe and the US. “On the journey, some of the questions that we thought were really difficult to answer have been answered much faster than we expected. 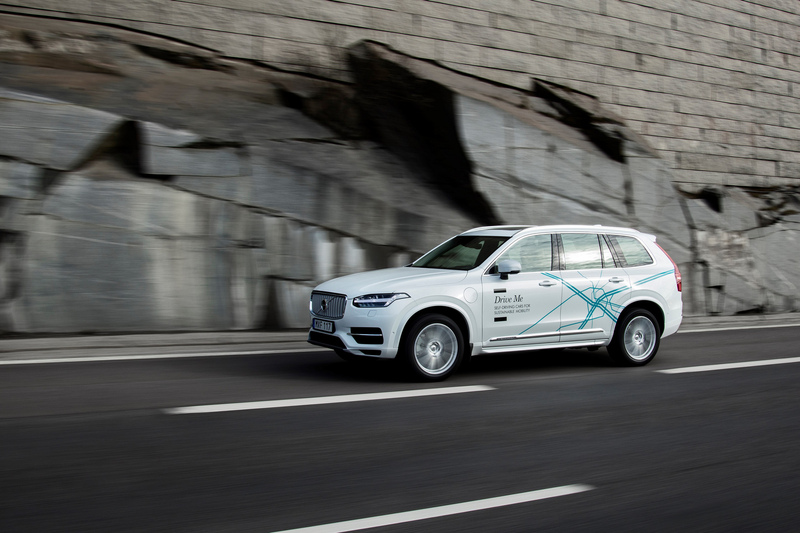 And in some areas, we are finding that there were more issues to dig into and solve than we expected,” Marcus Rothoff, Volvo’s autonomous driving program director, told Automotive News Europe. At the time, Volvo’s approach to autonomous testing stood in contrast to its rival automakers. Companies like Tesla, GM, Mercedes-Benz, and Audi have just begun to sell cars with highly automated, Level 2 and 3 features, while those that are working on higher levels of autonomy, like Alphabet’s Waymo, are focused on geofenced, ride-hailing projects. Volvo’s ambition to put regular people behind the wheel of its self-driving cars for experimental purposes seemed gutsy on one level, and maybe a little foolish in retrospect. Volvo executives say they are still tweaking the electrical architecture that underpins its self-driving system. Earlier this year, the Swedish carmaker said it would be teaming up with Autoliv (a Swedish-American firm that makes automotive safety systems) to develop the necessary software, while a partnership with chipmaker Nvidia will supply the computing power. Participating families in Sweden received the first delivery of XC90s this month, but only with semi-autonomous features, similar to those currently available in production-ready Cadillacs and Teslas. In addition, the cars the families received are equipped with cameras and other monitoring devices used to observe how they interact with the vehicle when the systems are in use. Eventually, the families will test vehicles with higher levels of automation, but in controlled environments such as a test track under supervision from Volvo safety experts.